I’m sporting nubbins in this post. 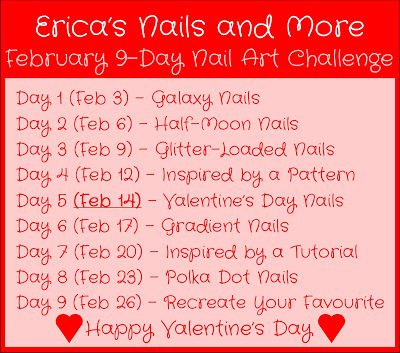 Well, my nails decided it is too long and broke on me while I was painting my nails for this 9 Day Nail Art Challenge. Nubbins or not I must forge on. LOL! 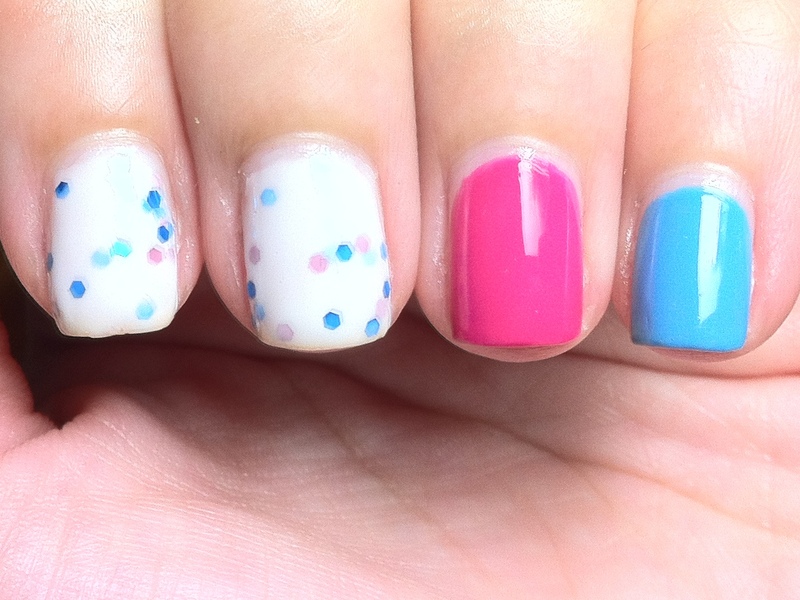 I decided to do my nails based on this tutorial from Sarah from Chalkboard Nails. 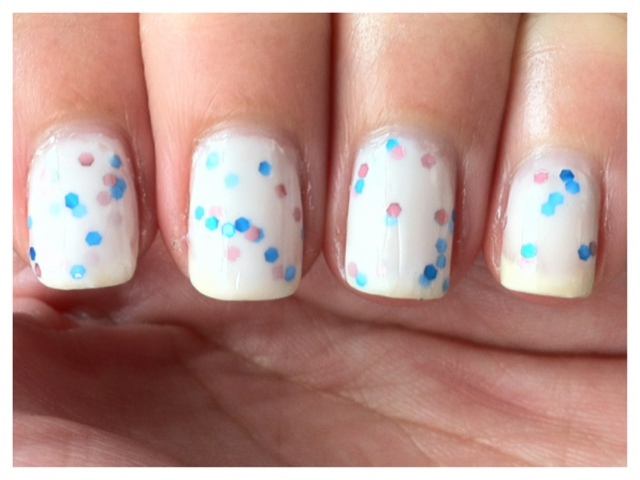 Sarah always has gorgeous swatches on her blog and her nail art is just drool-worthy! I always love leopard prints on my fingers but so far I have only used a stamp to do so. I always avoid free handing it because I am afraid that it would not come out perfect. Yea, I’m weird like that. 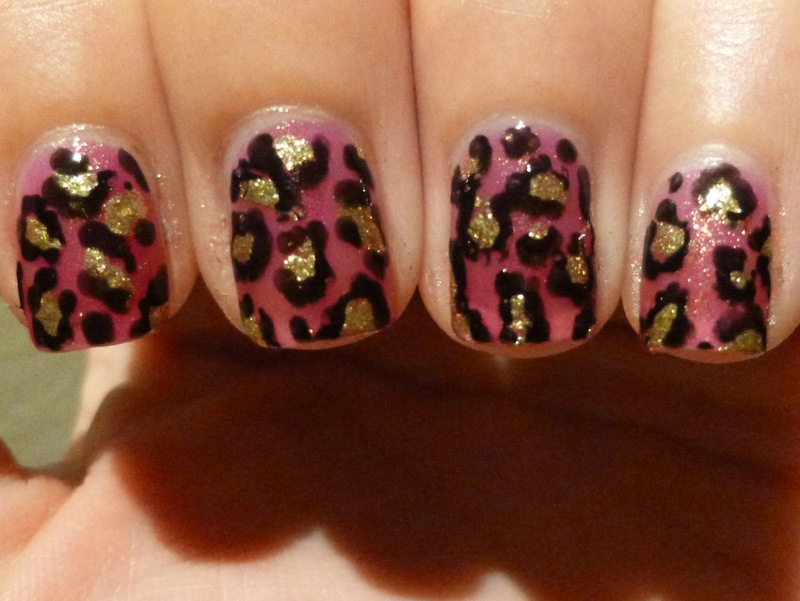 I pinned this tutorial since the day it came out but I never tried it till now. And now I think to myself – Oh My Gawd, why was I so scared before! LOL! I used Mrs Claus I got from my grab bag from 365 Days of Color as my base color. 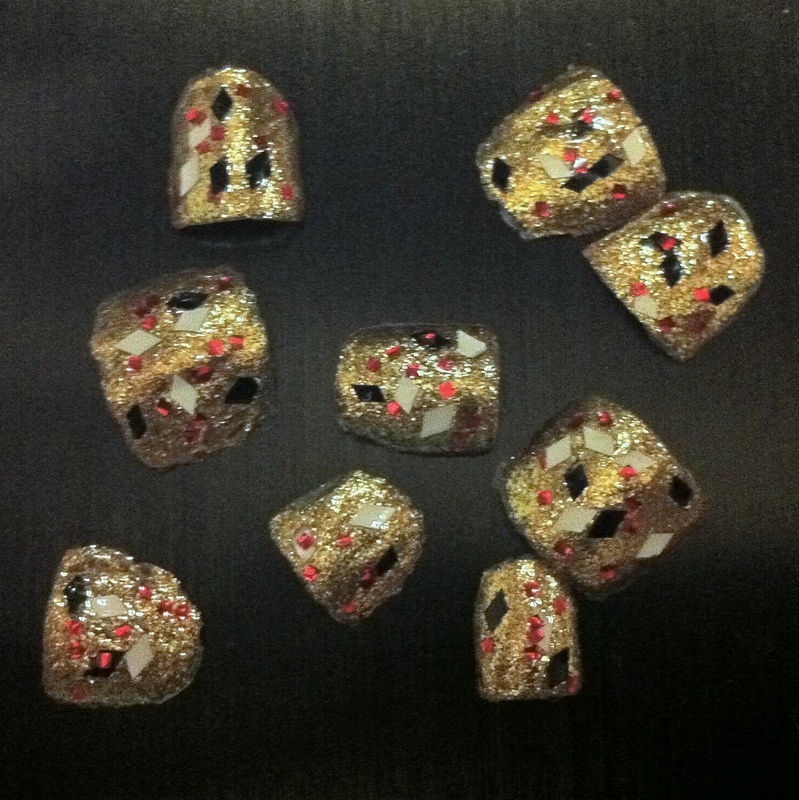 Mrs Claus is a raspberry jelly with gold shimmer in it. I kinda like the color but it turned out to be a little sheer for my liking. I am wearing 3 coats of Mrs Claus on my nails. 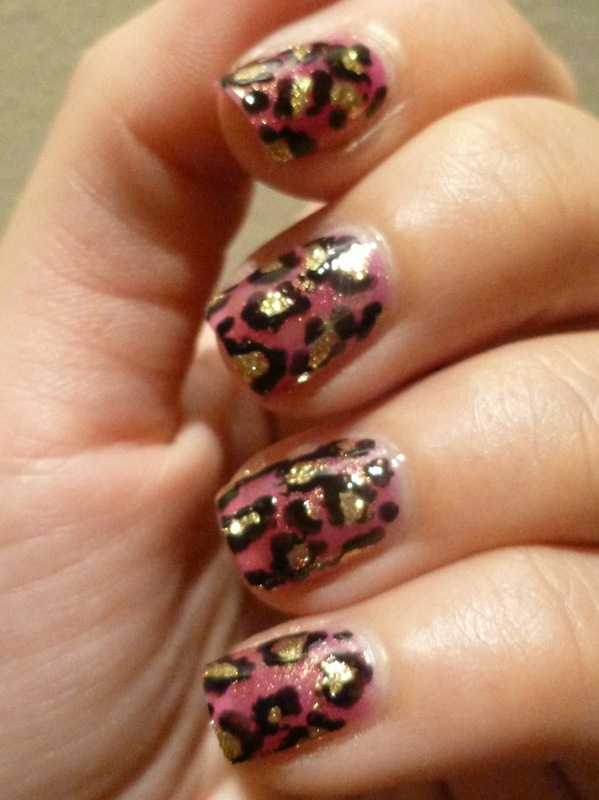 If you look carefully you can still see my nail line underneath the spots. 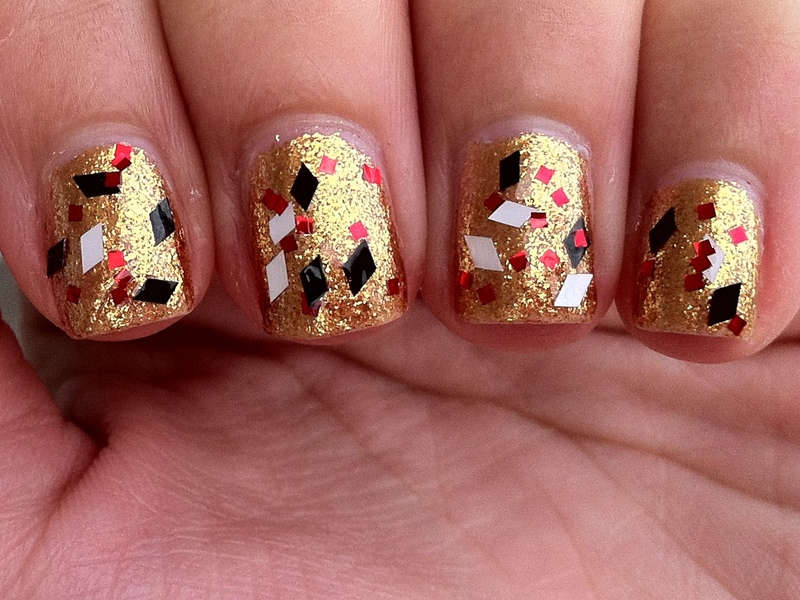 The spots are done with Skin Food Pedicure Sparkle in Gold and wrapped with OPI Black Onyx. 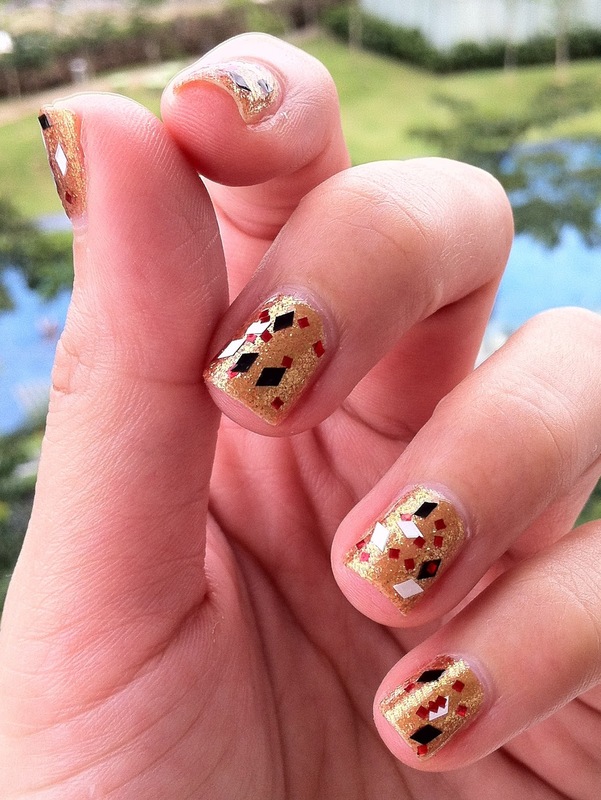 This is an old manicure which I never came around to post because the photos aren’t as awesome as I would like them to be. 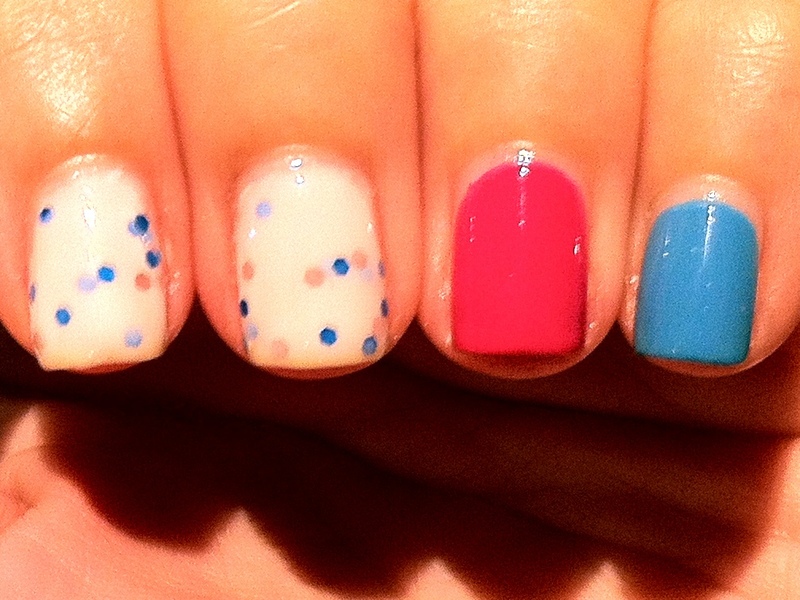 I love Cotton Candy very much and always wanted to wear it again but with all the new polishes I keep getting in the mail, it was kinda forgotten. 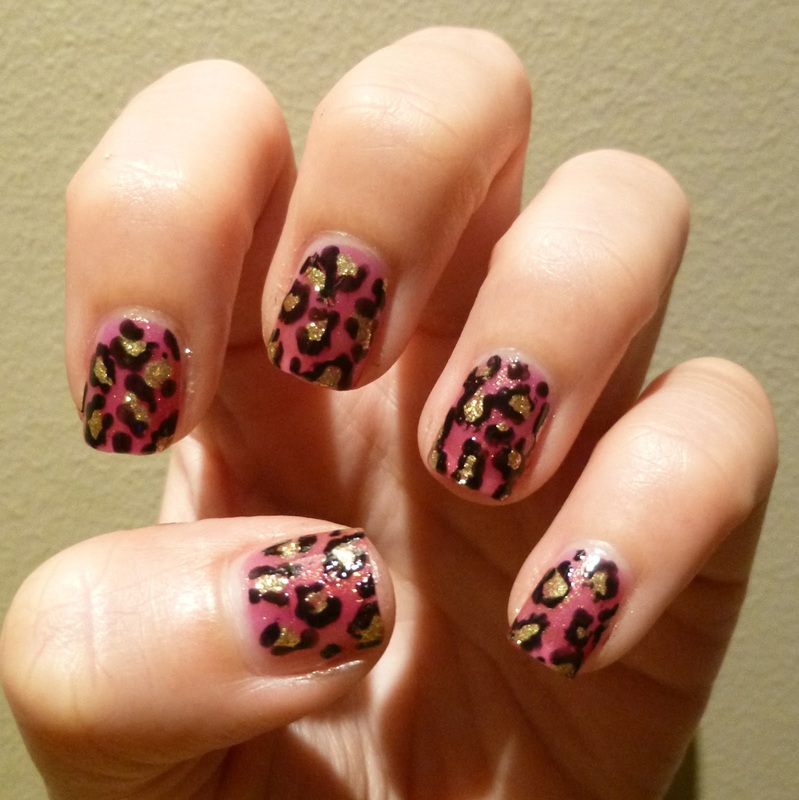 I finally took this baby out and told myself – you must use this polish NOW! 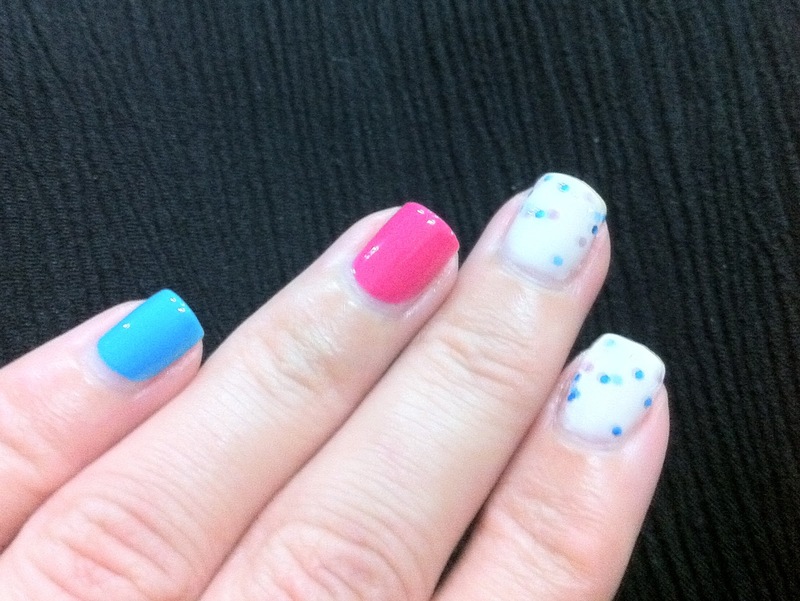 With that in mind I quickly picked out 2 the blue and pink to play off the glitters in Cotton Candy. And finally, the finger where Cotton Candy applied the best – my right thumb! 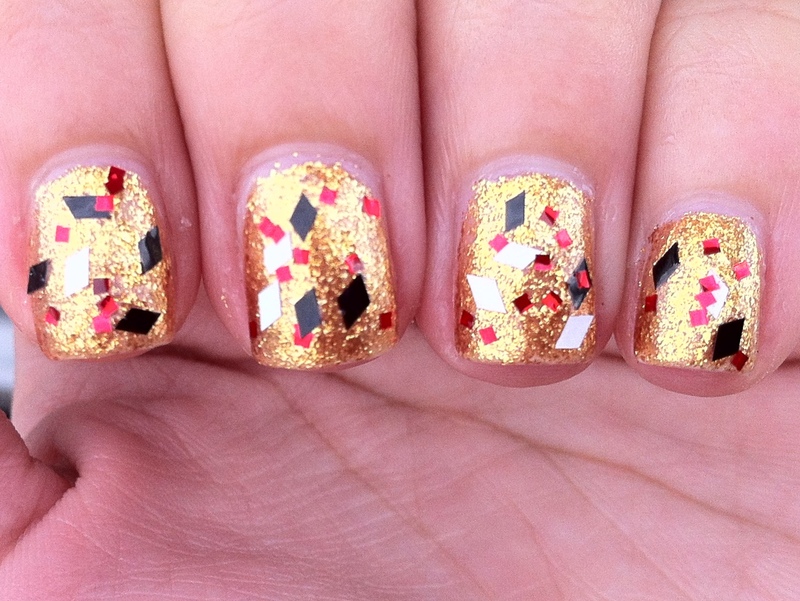 Well, I was thinking – What other way to spruce up a gold manicure for the holidays? And immediately, Waking Up in Vegas by Sunny from 365 Days of Color was calling out my name from it’s little spot in the drawers. Come to think of it – Vegas. Gold. How appropriate! Application was OK. It is the kind of polish where the harder you try, the harder is it for you to get what you desire. I am wearing 2 coats + some fishing and dabbing in these photos. I believe that the shape of the bottle matters a little. 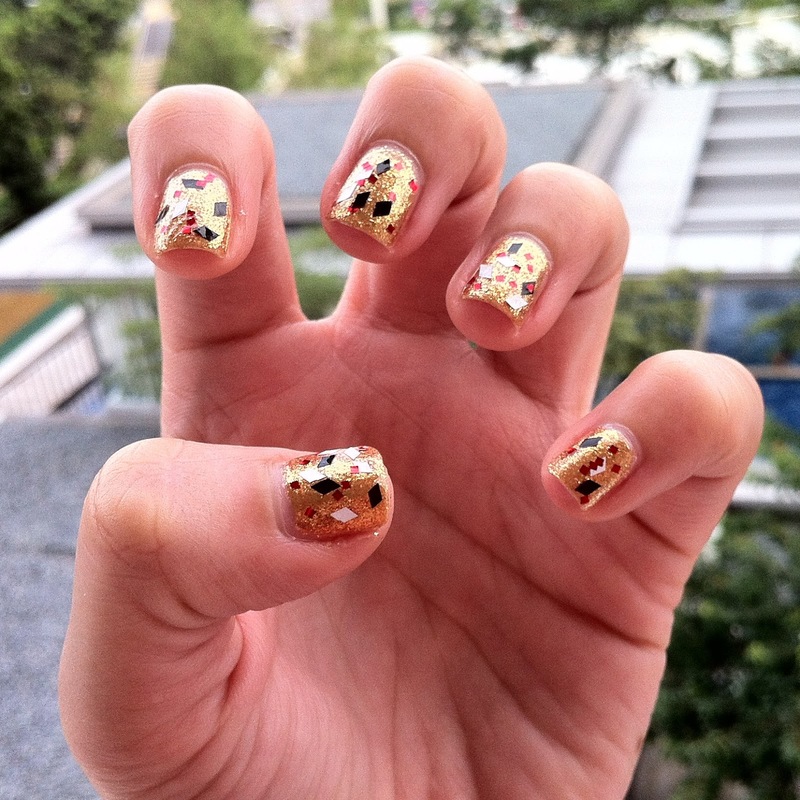 I got this polish in the flat round bottles that Sunny was using before. 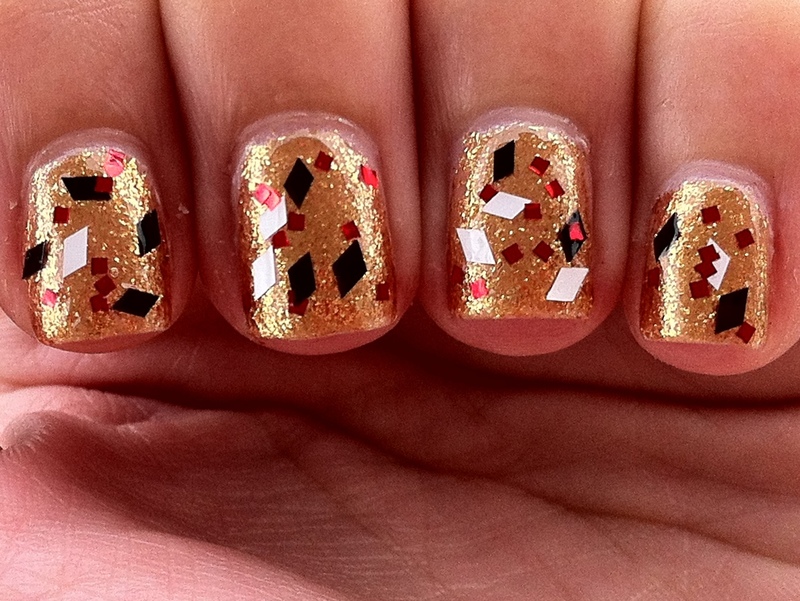 The diamond glitters in this polish lay really flat on my nails. Out of the many on my nails, only 2 were sticking out slightly. And those were the ones that I placed manually. If it was applied on with the brush, it stays put. I used this combo on top of some PVA glue. And as you know, I do not have much good experience with a peel off base. But I got lucky this time! 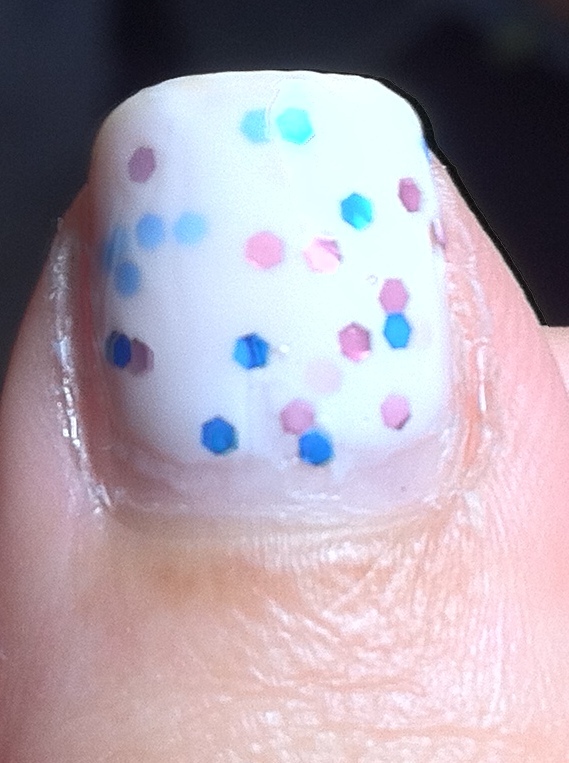 It all peeled off in one nice sheet and now resembles some false nail tips! I have Mint Chip from 365 Days of Color to show you today! It’s a mint green based pack with small black square glitter. 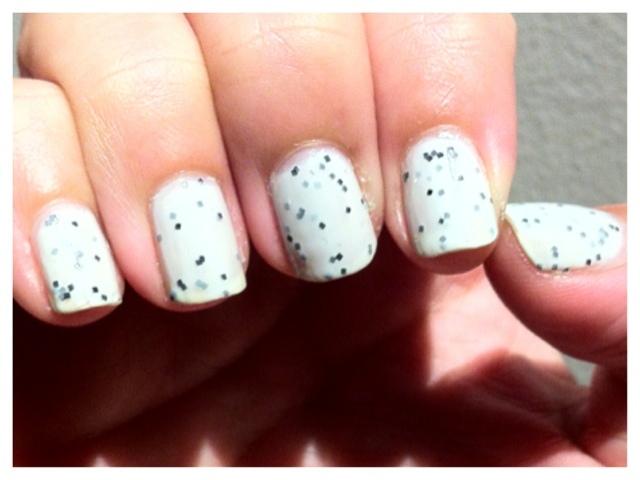 The photos below are of 4 coats of Mint Chip followed by a coat of Cult Nails Wicked Fast. 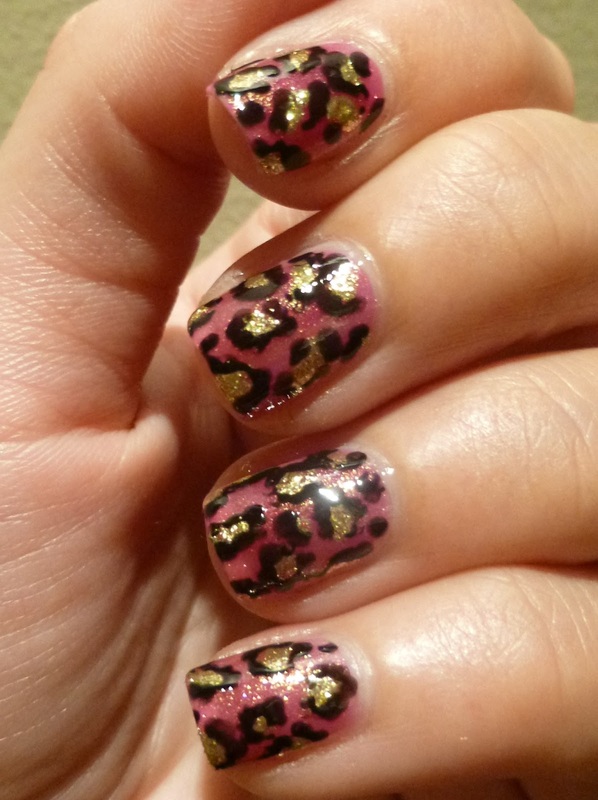 One thing always happens when I apply glitter polishes – My right hand ALWAYS looks better than my left hand. Just look at the photo below!